Our June Volunteer of the Month is Dr. Yugendar Reddy Bommineni, who volunteered for the first time with Winrock’s USAID-funded Farmer-to-Farmer program in the fall. 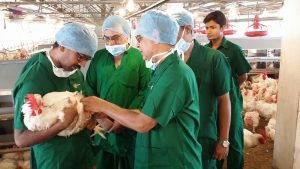 Dr. Bommineni shared his expertise in veterinary microbiology with technicians from the Bangladesh Department of Livestock Services – Central Disease Investigation Laboratory and poultry diagnostic laboratory staff from a private Bangladeshi agribusiness. He helped develop lab protocols and provided in-service training to staff on diagnosis of common poultry diseases. 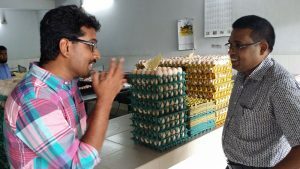 His training and technical assistance has been instrumental in helping these two organizations to upgrade their facilities and procedures for poultry disease diagnosis and improve the quality and depth of training and services that they provide to small- and medium-scale poultry farmers. Dr. Bommineni made such an impression, he was invited back to Bangladesh for a second assignment this month. What inspired you to volunteer with the F2F Program? What were some factors that most contributed to your success on the assignment? How did the assignment impact you personally? “This was a great experience for me. 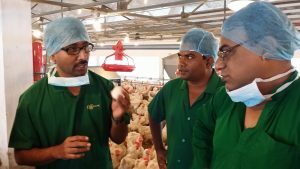 I learned a lot about Bangladeshi poultry diseases and saw a lot of diseases that I won’t see in the United States. “It was memorable to me when I learned from my host staff that my training was special to them. According to them, the learning from my training was very applicable and useful for them to carry out their job responsibilities. “It was a pleasure and very satisfying assignment to train teachers and their students on drip irrigation at the Horticulture Initiation Center of Saint Louis, Senegal, a public education institution that provides training and know-how to youth, professionals and smallholder farmers in the field of fruit and vegetable production, floriculture and entrepreneurship. The devotion and commitment of the faculty staff and management, as well as of the students, to learn and improve was very encouraging and created a very pleasant and hopeful atmosphere for a better future. In spite of daily hardships and obstacles, the participation of all attendees was exiting, to the degree that even on a holiday, we had a full house! The Senegal team is the newest member of Winrock’s Farmer-to-Farmer (F2F) family! The team received its first volunteer as part of the USAID-funded F2F for Agriculture Education and Training (F2F for AET) Program in February, and since then, they have kept busy conducting baseline surveys, developing partnerships, designing volunteer assignments with local AET hosts, and welcoming volunteers to Senegal. Mama joined Winrock in June 2014, but she has known about Winrock for many years, as she is a member of the Africa Women Leaders in Agriculture and Environment (AWLAE) network that Winrock helped form and strengthen in the 1980s. 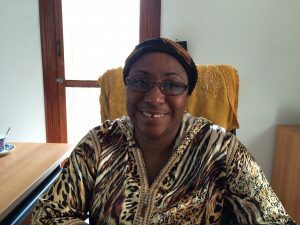 She received her Master’sin International Agriculture Education from the University of Arizona and spent many years working for the Senegalese Ministry of Agriculture and for the Food and Agriculture Organization. Mama enjoys working with volunteers because she learns from their experiences variety of experiences and skills. She admires the volunteers’ dedication and motivation to share their knowledge with others. In her opinion, the F2F program addresses numerous development issues within the wider agricultural sector that benefits Senegal. On the weekends, Mama likes to go to her farm, where she keeps fruit trees, poultry, and livestock. Pape began working for Winrock in October 2014. 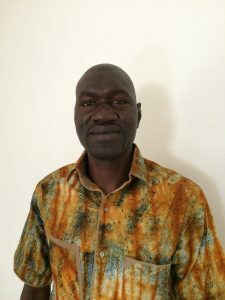 He has a degree in Agriculture and certificates in vocational education, focusing on horticultural techniques and management. Under F2F, he writes scope of works for the volunteers, accompanies the volunteers on their assignments, and builds relationship with the hosts. Pape likes that F2F helps poor and disadvantaged people and provides them opportunities to change their life conditions. 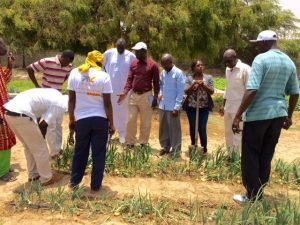 He strongly believes that by focusing on agriculture education and training, the capacity of Senegal’s people and organizations will increase. Pape enjoys the technical exchange that takes place with the volunteers. In his free time, Pape goes to his farm, where he grows ground nuts and maize, and enjoys jogging. 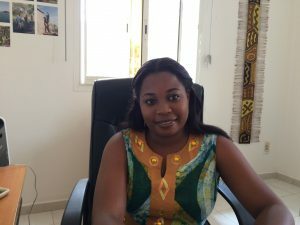 Bara is in charge of M&E tasks for F2F in Senegal, including tracking progress against indicators, collecting baseline data with hosts, and supporting scope of work development. He joined Winrock in October 2014, after studying project management and planning and beginning his M&E career with the Ministry of Finance. 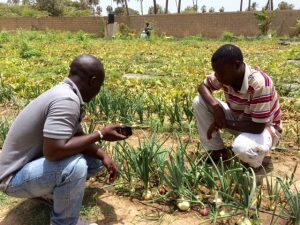 He says that 70% of Senegal’s population are involved in agriculture, and therefore it is important to gain more experience in order to feed the population; this is what F2F provides to Senegalese farmers. Bara enjoyed visiting poultry farms with a volunteer; he was able to learn about the dynamic poultry sector. On the weekends, Bara likes to visit his family in Saint Louis or watch soccer matches. As a Program Assistant, Adama helps the project with many important tasks, including translation and logistics. She also attends technical meetings and accompanies the volunteers to their assignments. She enjoys meeting the volunteers. Each experience has been unique. Adama says that 6 out of 10 jobs in Senegal are not filled because people lack the right skills; therefore she thinks that education and training are important for the development of Senegal. In her free time, Adama likes to go out salsa dancing. She also grows vegetables and aromatic plants in her garden. 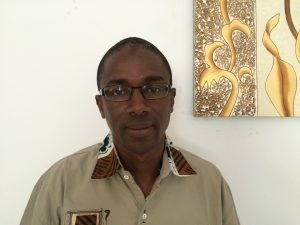 Demba has been working for Winrock since September 2009, starting as an accountant under a previous project in Senegal. Demba is in charge of all accounting functions, payroll, procurement, and travel logistics. He participated in the F2F start-up in Senegal, which was a memorable experience that allowed him to use the skills developed during his tenure with Winrock. 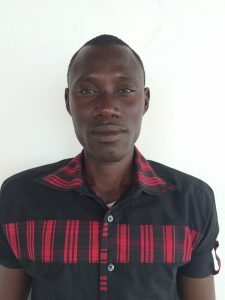 Demba thinks that F2F is important because the training provided to farmers and organizations will bring results that will benefit his country. Demba likes to spend the weekends with his family. Séne has the very important job of driving our volunteers to locations all over Senegal. He has been working for Winrock since January 2015. 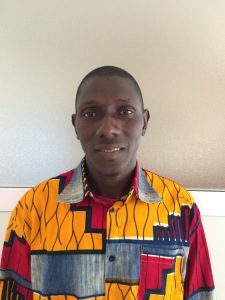 He learned English at a university in Dakar and is looking forward to continuing to improve his English skills by engaging with the volunteers. He has a piece of land and hopes to grow crops and poultry. 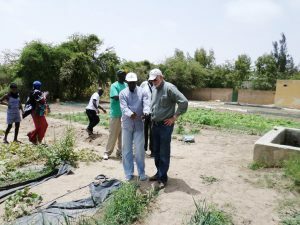 When volunteer Jonathan Moyle visited Senegal for a poultry production assignment, Séne was able to learn new skills to apply to his own farm. 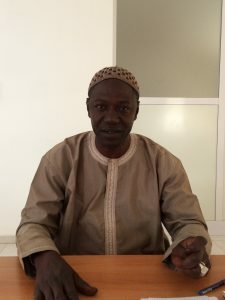 He believes that the F2F project is important to farmers, and that it is wonderful for Senegalese people to receive the technical assistance. In his free time, he likes to jog and watch TV. Sane is also a driver for F2F and accompanies the volunteers on their travels throughout Senegal. He has been working for Winrock since January 2015. Sane learned English in high school, and after that he continued his English studies by attending language lessons. He learned about Winrock by coincidence: he was near the office and saw the office’s sign and decided to stop by to see if there were any openings. 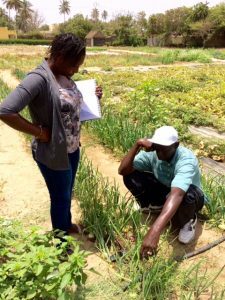 Sane believes that F2F can help farmers in Senegal gain more knowledge. He enjoys sharing his experiences with volunteers. In his free time, Sane likes to jog, spend time with his family, and watch TV. The whole team is eager to welcome all of the future F2F volunteers in Senegal!